By now, you’ve probably heard of some of the benefits of LED lighting. LEDs last longer than other bulbs, reducing maintenance and costs, and can increase productivity. LEDs are also intelligent and hold potential to unlock further savings through the Internet of Things. But is LED lighting really right for your facility? Whether you work in retail, commercial or industrial sectors, answering that question is easier than ever. Use this infographic to see if LED fits in with the needs of your facility. The opinions expressed in this piece are solely Current, powered by GE's. They do not necessarily represent WESCO’s views. Current, powered by GE offers the most technologically advanced lighting solutions – backed by more than 100 years of innovation. 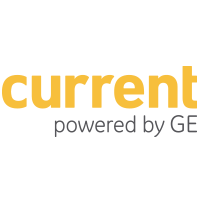 From initial consultation and investment-grade auditing, through project analysis and implementation, Current, powered by GE makes retrofitting seamless.